The more we allow parochial thinking to lead us, the more divided our world will be. The Vishwa Hindu Parishad (VHP) and Bharatiya Janata Party (BJP) yesterday opposed tennis star Sania Mirza’s appointment as Ambassador of the newly-formed state of Telangana. Subramaniam Swamy, the redoubtable BJP leader, was quoted in the papers as saying: “I agree with the BJP leaders that when people have divided loyalties, we cannot expect them to represent the country or any part of the country faithfully. 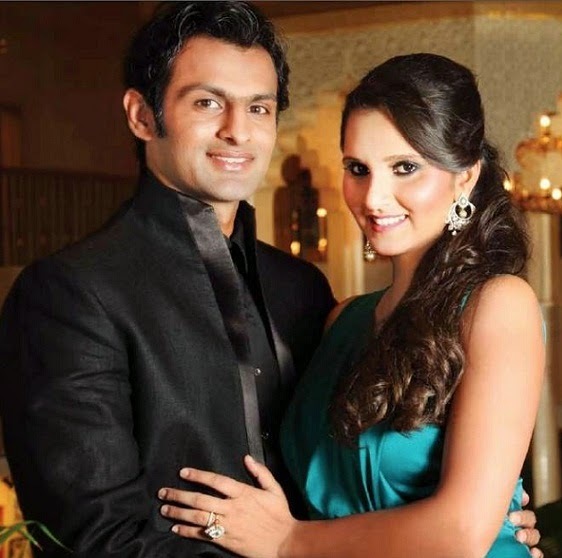 So, the BJP stand is well taken.” Sania came under attack from VHP and BJP because she is married to Pakistani cricketer Shoaib Malik. In fact, Telangana BJP leader K.Laxman called Sania “Pakistan’s daughter-in-law”. Such thinking is gut-wrenching and numbing. Sania is a successful sportsperson. And Malik is another successful sportsperson. The two decide to marry. Where does, and why should, nationality play any role in this? Mercifully, both belong to the same religion. Else the self-styled mandarins may have had added more logs to the fire. Interestingly, in October 2009, when former Pakistani pacer Wasim Akram’s wife, Huma, was being flown from Lahore to Singapore in an air ambulance for treatment for renal failure, she developed complications when they were overflying Chennai. An emergency landing was mandated. And doctors at Apollo Hospitals, Chennai, treated her for a few days, before she passed away on October 25, 2009. Dr.Venkataraman, the doctor who treated Huma, is a Hindu. As are several of the fans who gathered outside Apollo Hospitals that morning to show their support for Akram and condole his loss. About a decade earlier, fans at the M.A.Chidambaram Stadium in Chepauk, in Chennai, had given Akram a standing ovation, after he led Pakistan to a memorable win in a closely-fought Test Match. So, in reality, the common folks, people like you and me, don’t ever get swayed by religion or by partisan thinking. Humanity and the spirit of sport – of letting the best team or player win – rules higher in our minds than anything else. Even so, the games politicians play, often for petty gains or even for demonstrating one-upmanship, are divisive. Not only should we be wary of them, we must express our secular and objective views on all such occasions.